An 18th century monument in Shugborough Hall near Birmingham, UK, bears an inscription consisting of ten letters. 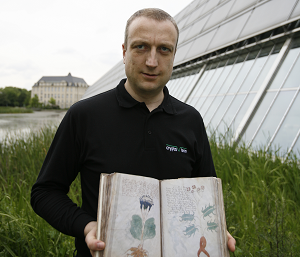 This message is one of the world’s most famous unsolved ciphertexts. 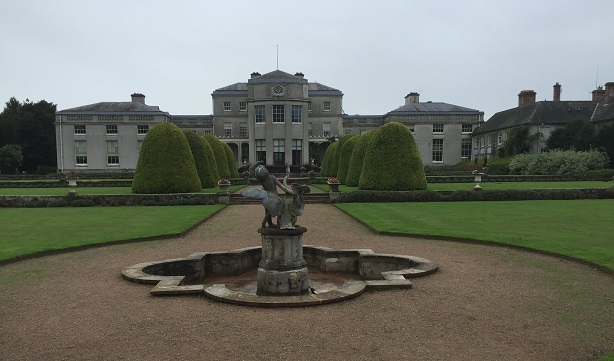 Last year, when I gave a presentation at a conference in Birmingham, UK, I took the chance to take a side-trip to Shugborough Hall, a stately home near Great Haywood, Staffordshire, which is today a tourist attraction (thanks to Gordon Rugg for taking me there). 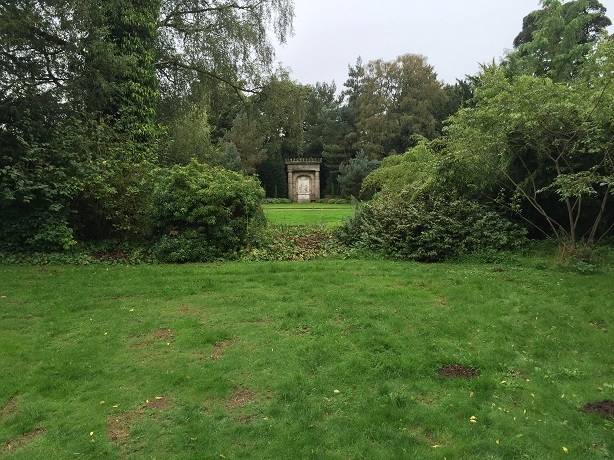 The crypto mystery that brought me to Shugborough Hall is located on a folly named “Shepherd’s Monument”. 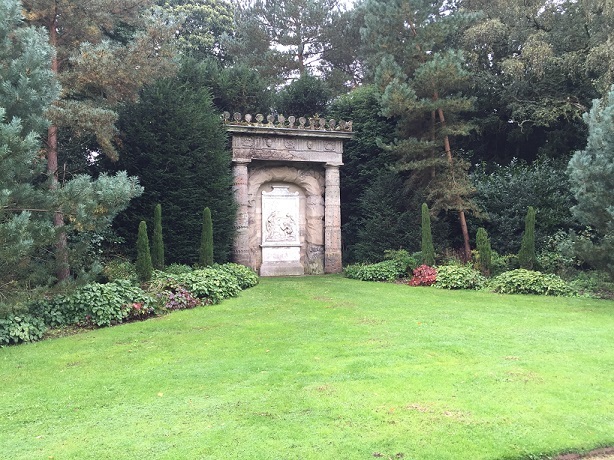 Compared to other buildings on the estate, Shepherd’s Monument doesn’t look very spectacular. Shepherd’s Monument was built sometime between 1748 and 1763. 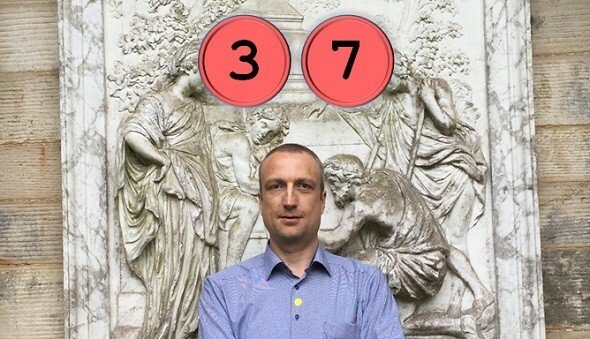 In it’s center a relief ressembling Nicolas Poussin’s painting The Shepherds of Arcadia is located. 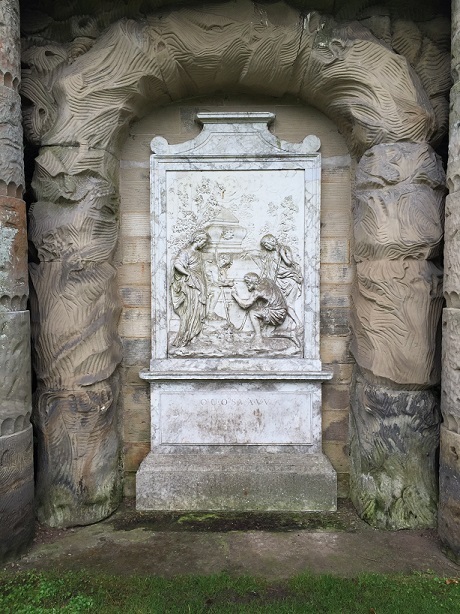 It shows a woman and three shepherds, two of whom are pointing to a tomb. 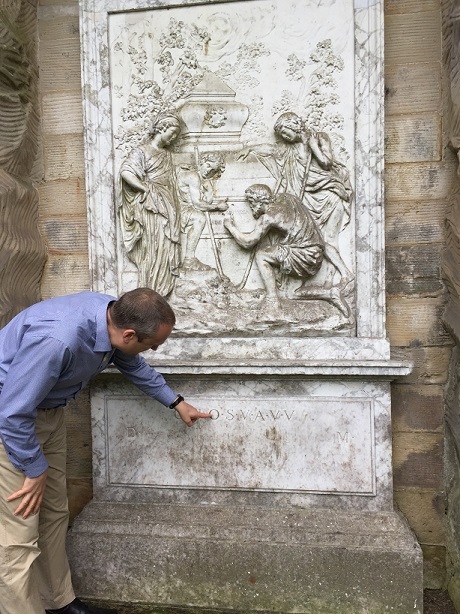 On the tomb is carved the Latin text “Et in arcadia ego” (“I am in Arcadia, too”). The carving displays a number of small alterations from the original. An extra sarcophagus has been placed on top of the main tomb. It is not known what these ten letters mean. Some alleged solutions are acrostic, interpreting each letter as the initial letter of a word. In 1951 some Morchard Bishop suggested that the letters might be an initialism for the Latin phrase “Optimae Uxoris Optimae Sororis Viduus Amantissimus Vovit Virtutibus” (“Best of wives, Best of sisters, a most devoted Widower dedicates (this) to your virtues”). Another acrostic interpretation leads to the sentence “Orator Ut Omnia Sunt Vanitas Ait Vanitas Vanitatum” (“Vanity of vanities, saith the preacher; all is vanity”). There are many other proposed solutions of this kind, but none of them has ever been proven to be correct. Last year I introduced a hypothesis from Dave Ramsden, who suggested that the “D. M.” in the inscription stands for “Dis Manibus”, while the eight-letter inscription is a cipher concealing the name “Magdalen”. Ramsden has even published a book about his explanation. However, to me it looks as speculative as all the others I have seen so far. 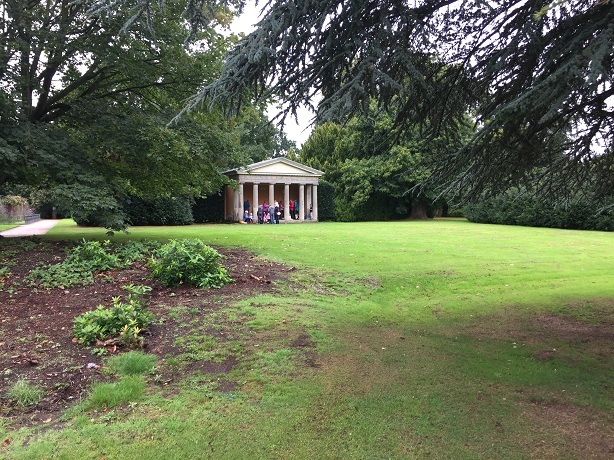 In spite of all the decryption efforts the Shugborough inscription is still a mystery. Maybe a reader has an idea how to solve it. It’s probably an abbreviation, like “Deus Magnificus” (God is great), but since there are many possible solutions, there is no way of proving which one is right. As with many intractible problems, it may need a new approach that has not been tried. Perhaps the papers and archives of the family might hold a clue. It would be unusual for such a thing to never be discussed elsewhere. There seems to be an assumption it was MEANT to be mysterious, when it may have been a phrase family members were familiar with, and maybe it appears in other letters and writings, by the family and/or associates? And perhaps the records of the firm which built the monument…. or of the workers and engravers, and so on, might hold a clue. Most monuments are made from sketches and drawings, and the order for this may have a clue to what it means. Perhaps all this was tried long ago: But I’ve been surprised how many unknowns are explored with a narrow view, based on the external only, when other avenues might be fruitful. Couldn’t find out wether anybody has sifted through the records yet. The sculptor was Peter Scheemakers, the designers were Thomas Wright and James Stuart (https://books.google.de/books?id=RbfVkHMTC0cC&pg=PA106). If there are still any records of them, who knows. Thomas 1 and Thomas E.: Those are good finds, and I would also love to look, myself. But I am in the States also… I am a great believer in pursuing the smallest leads in these things, but no way I could, this one. Maybe someone else is close enough to dig a bit. Literatur: Lincoln/Baiger/Leigh, “Der heilige Gral und seine Erben”, Gustav Lübbe Verlag 1997, 472 S. Darin wird eine “Geheimloge” namens Prieuré de Sion (=Zion) analog Freimaurern, Rosenkreuzern beschrieben. Bilder 20-23 zeigen die gemalten Vorbilder (Poussin) zur Grabtafel, Bild 24 ist identisch mit Klausis Photo. allerdings ohne sein Konterfei ! Ziel der PdS: Wiedereinführung der merowingischen Dynastie; ein Leitmotiv: Arkadien. Dies ist KEINE Buchempfehlung. Das Werk ist voll (z.T.abstruser) Hypothesen, alle im Konjunktiv (“könnte”, “dürfte”), obgleich es sich wissenschaftlich gibt. Ich habe es nicht zu. Ende gelesen. In spite of my unfavourable remarks (on the book) sub #7, I offer for your consideration: –  chrs 3-5 may read ORDO SIONENSIS VENERABILiS (or: VENERABILISSIMUS). –  chr 2: Self-criticism on choice of language: U together with VVV in Latin in one line very unusual. –  Another “M •” just discernible behind the “D •” (chr 9), there also may be further letters sketched in line 2. An error by the stonemason or by one of his apprentices ? –  chr. 8 “V” may also show a dot: “V •” (?). “We get five or six people a week who believe they have solved the code”, as Klaus Schmeh so aptly cited (see above). Well, for your enjoyment, here is another one, unprovable but at least somewhat logical, methinks. Comments: chr1 plural, in view of second coffin added to the Poussin original; D.M. also possibly: DEUS MAGNIFICUS (thank you #1), DEVOTUS MEMORIAE.